where will this text appear? Too Black for TV was commissioned by the Guardian international documentaries strand. 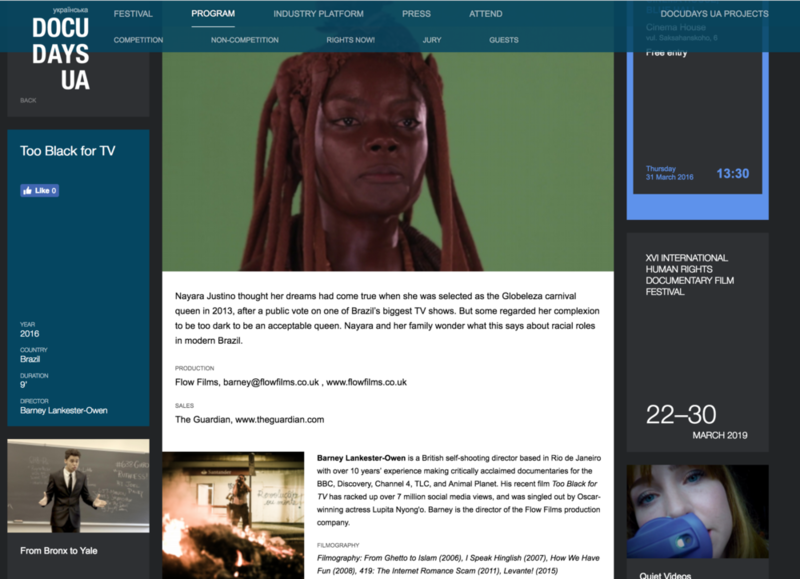 Directed by Barney Lankester-Owen and produced by Bruce Douglas, FLOW production Too Black for TV has been seen by over 8 million people and helped contributed to the growing debate on racism in Brazilian media. Since the age of 6, Nayara Justino dreamt of one day becoming Globeleza, Brazilian TV’s Carnival Queen. 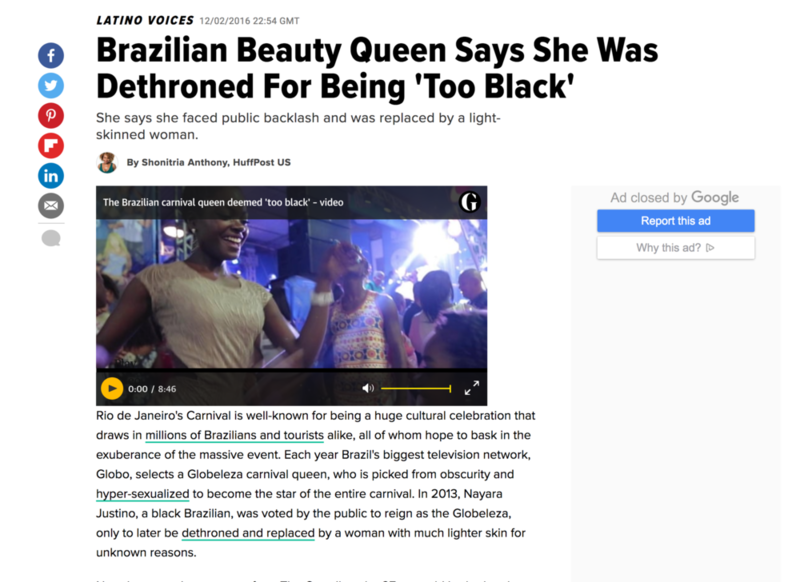 Little did she imagine the torrents of racial abuse she would face from the public who deemed her ‘too black for TV’ after she was crowned in 2013. This film tells the story of how deeply entrenched racial stereotypes persist behind Carnival’s internationally exported image of glamour and glitter.